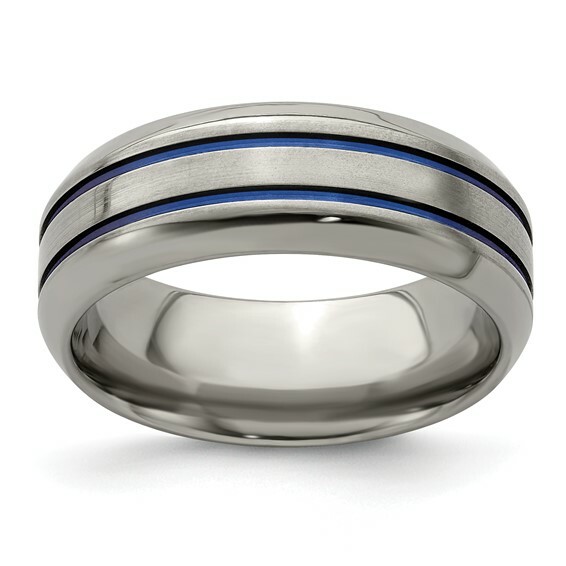 Titanium ring features two anodized grooves and beveled edges. 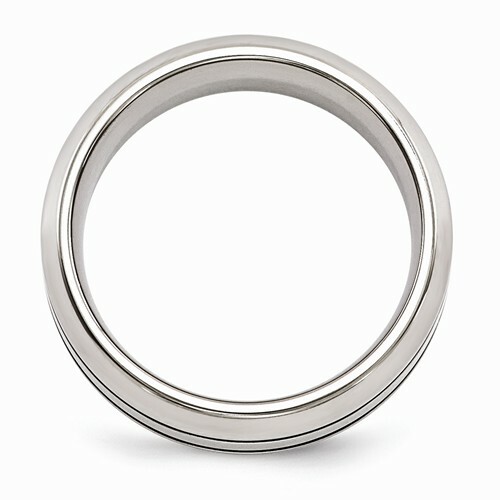 Polished finish, ring width: 8mm. Made in the USA by Edward Mirell, the leader in contemporary men's jewelry. GRAY TITANIUM - All products in the Edward Mirell gray titanium collection are precision crafted in 99% commercially pure Spectore brand Titanium, a hypo-allergenic bio-compatible element. This material is the perfect combination of strength, durability and safety. Pure Titanium maintains the hardness and toughness to withstand a lifetime of punishment, yet can be safely cut and removed in the event of an emergency. Would buy again if needed. Service was great, customer service informative. Delivery right on time. Great company to deal with.